Endless trouble. Sad for khmer people. Who is to blame? Silly question. Dont we know who's lean and control this country. Pol pot told us to have a small back of personal belonging. He fought vigorously against Youn. He put the country first. He worried about one day the Vietnamese will swallow Cambodia. Is it true or not by observing events happened in side this small country? Who is to blame? It is not a silly question. It has only four words, but it’s very excellent question. Before I answer your question, I should say he/she who posted this question “Who is to blame?” was a knowledgeable person. To answer your question, the current events happen based on the past events. So, we asked the question “Why is it started and who was starting it?” First thing was “Vietnam War” the war between North and South Vietnam. The North Vietnam had supported by Soviet and China, the South Vietnam supported by America. We the Cambodia are neutral (we don’t have a war with any country) and the Norodom Sihanouk (Cambodia’s King) declared himself as neutral country, but at that time the N. Sihanouk secretly supported North Vietnam (Viet Cong) and allowed Viet Cong stayed inside the country. The CIA (Central Intelligent Agent) knew the N. Sihanouk’s secret, and then the president (Mr. Nixon) of the United States of America ordered to boom in Cambodia, and then we started have the Republic of Cambodia, Democratic of Cambodia (Khmer Rouge), and Vietnamese’s puppet (Hun Sen), etc… Who is to blame? The N. Sihanouk is to blame, all most 2 to 3 million Khmer people die and 100 to 500 thousand Khmer people run out the country, liked me. 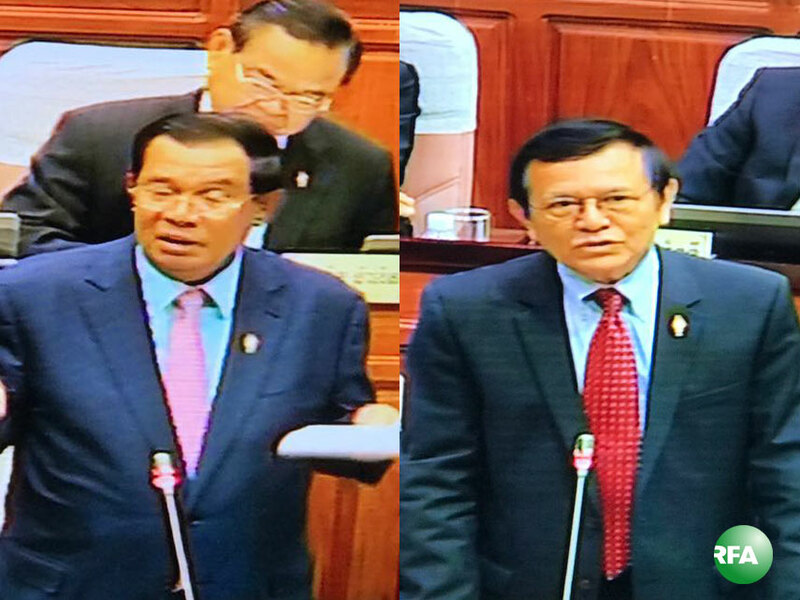 Good job, you did the right things Mr. Kem Sokha, keep its up! Your doom day is starting now Mr.PM. In our beautiful world there is nothing last for ever especially DICTATOR. You should take one step back to think over and free Cambodia from your irony fist.